Nice big hood to cover when sleeping and from sun. Very padded foam handles. Hood is noisy, clicks as you pull it down so make sure it's done before baby sleeps! Purchased as a spare as we already have a baby jogger. Just needed something for nursery run and baby's naps. Wanted something that could store easily which this can. Also needed a wider seat and large weight capacity to last until he is out of buggys. He is a tall 11 month old and is 10kg so didn't want a 15kg max weight. Having the sun visor hood was an added bonus as he sleeps much better when he doesn't have light hitting him. All round decent buggy and I think pretty good value for money. Absolutely love it, compared to my last pushchair which my son hated and had a battle with him everytime to get him in. But this one he loves the back goes right back when he's sleeping, we even took it to Spain with us and no damage to it perfect for the sun as the cover comes right down so protected him alot. It also come apart very well to be able to clean absolutely everything on it. Large seat, large extendable hood, easy to push. Covers all come off and can be washed. Lovely pushchair! Built to last! My daughter was always comfortable & was able to take the covers off to wash if needed. Extendable hood was good in sun & wind! Only reason we sold was for a slightly smaller folding pushchair as it was 2cm too long to fit in my car, but this was personal. Was lovely and light, easy to pop in the boot of car. Love the silver cross for my little lady, was comfy and easy to use, folds down nicely to store away or pop in boot. My only issue was the clip was a bit tough to open and close although it did make sure my little lady could not open it herself. We needed a stroller after our toddler outgrew our beloved Silvercross Pioneer, so obviously our first choice of brand for a stroller was Silvercross! After trying out a few in store, this one came out on top! It pushes wonderfully like the travel system, has a large comfy seat and a bumper bar so they feel secure. There’s a basket underneath and once easily folded there’s also a carry handle. There are many designs and colours to chose from, like all Silvercross Prams. We went for the Teal sea horses. Highly recommend. I bought this pram about 4 months ago, initially it was just take abroad. I wanted a cheap, lightweight but sturdy pushchair that I wouldn't be afraid of it breaking in transit. The Pop seemed like the perfect choice. 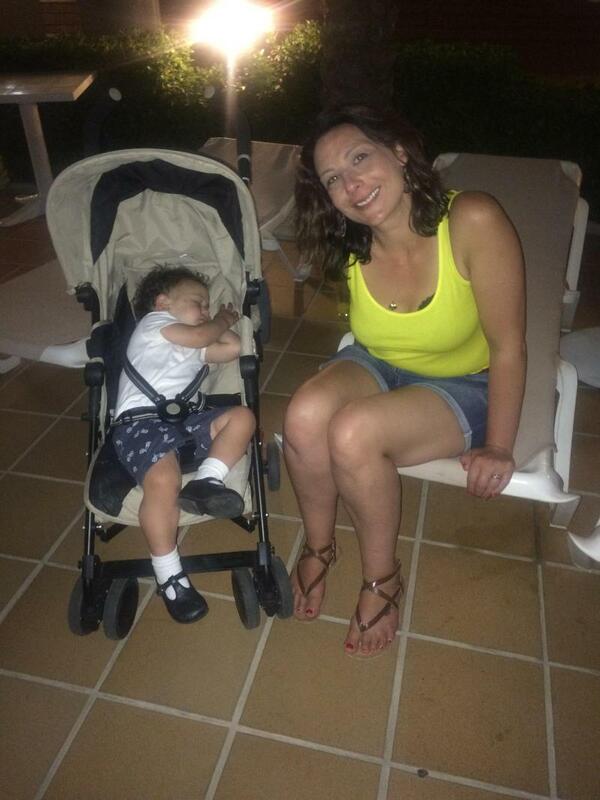 As soon as I received the pram I started using it and found that my little boy loved it. He was so comfortable and would fall asleep in it straight away. The lie down feature is fantastic. This pram has now replaced my travel system and I believe it will last my boy for a good few years yet! Excellent purchase, I can highly recommend it. Bought this for holiday as the other pushchair was just too big and too much hassle to take. I love the hood on this as it comes right down to shade baby from the sun which is great for naps. Another plus for napping is this lays flat and is so easy to recline. There are a few different settings and is just a button on the back. It is nice and enclosed but has a little vent on the hood so baby doesn’t get too hot. The handles are comfortable as they are foam. It is still quite big and heavy when folded but is easy enough to carry and the only time we needed to pick it is was collecting it with our baggage from the plane. Cosy toes has ripped, breaks are quite loose. I love my silver cross pop, we’ve had ours for 18 months and I couldn’t recommend it enough! There’s plenty of room, perfect for all weathers, can lye flat if the little one takes a nap, plenty of space in the storage basket underneath, folds easy, easy to take apart and clean. Our only problem with this is that the cosy toes has ripped and the breaks are loose. Our little one loves it though! 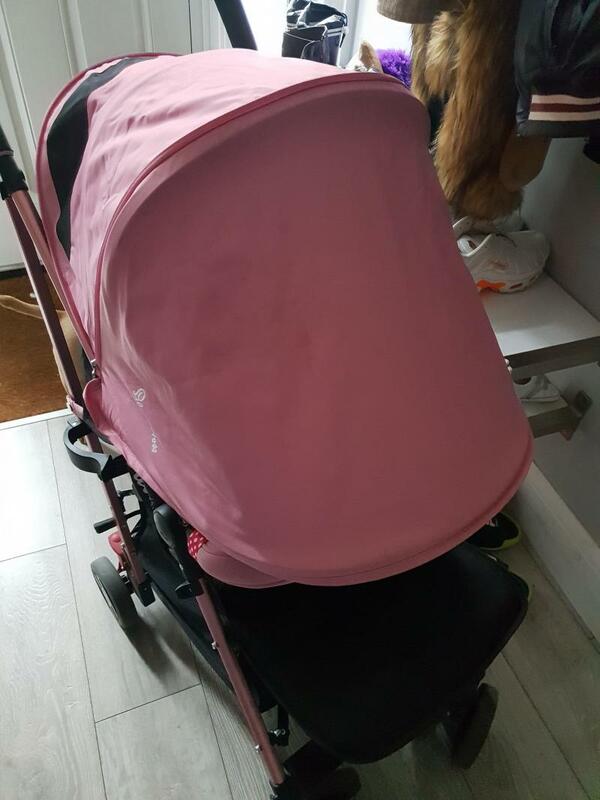 This beautiful stroller comes in lots of designs, I’ve had the blue bear one, but have also see the pink:purple one used by friends, it comes fully equity with rain cover and detachable hood and basket. The hood comes all the way down to cover the child complete but still letting the child see out. It’s very easy to push, and when folded it’s easy to carry with a handle on the side, I found a shoulder strap that I attached to this stroller and was able to carry on my shoulder when needing to walk a short distance and couldn’t push. This can be used from 6months-4-5 years (depending on weight of child) as it’s seat is large and comfortable for all children, it also has a lip at the feet that lifts up to keep little legs up while sleeping and also helps them lay flat! it also keeps the children safe at all times as the clip to keep your child in comes from 5 directions, shoulders, waist on both sides and between legs. We bought this buggy for our 2 year old as a holiday buggy. We now use it everyday! It is super light and easy to use. Our 2 year old is tall and we know it will last a long time as still so much room in it! It folds down easily and doesn’t take a lot of room in the car boot. Fits in boot, fits easily in public transport, seat lays flat, good basket, large hood/sun canopy. I absolutely love this pushchair. I have it in pink for my 10 month old. The seat size is fab, will last a long time. Seat lays completely flat. The hood has a zip which extends the hood and turns into a sun canopy. Fits lovely into the car boot but also a great size for public transport. The basket underneath is a good size for shopping. Only down side is the wheels tend to get squeaky. But nothing some wd40 won't sort out. It's a lovely pushchair to push. Comes with bumper bar which can be removed and also a rain cover. I would definitely recommend this pushchair. Small basket, feels quite flimsy. Bought this especially for going on holiday as I wanted a stroller that had a full sun canopy and a seat that lay flat. When it arrived I did feel that it felt rather flimsy, however it worked really well on holiday especially for toddler naps, allowing mum and dad time to enjoy a peaceful daily cocktail in the sun. I stupidly bought the sand colour and would not recommend this colour, a year on and we still have sun cream stains on the seat. In terms of day to day use I find that it is easy to use and fits well into the boot of my car, still allowing space for my springer spaniel. The clips are a bit fiddly and take a bit of getting used to and as mentioned by others the basket is rather small. I would recommend this buggy, especially for the summer months or sunny holidays. 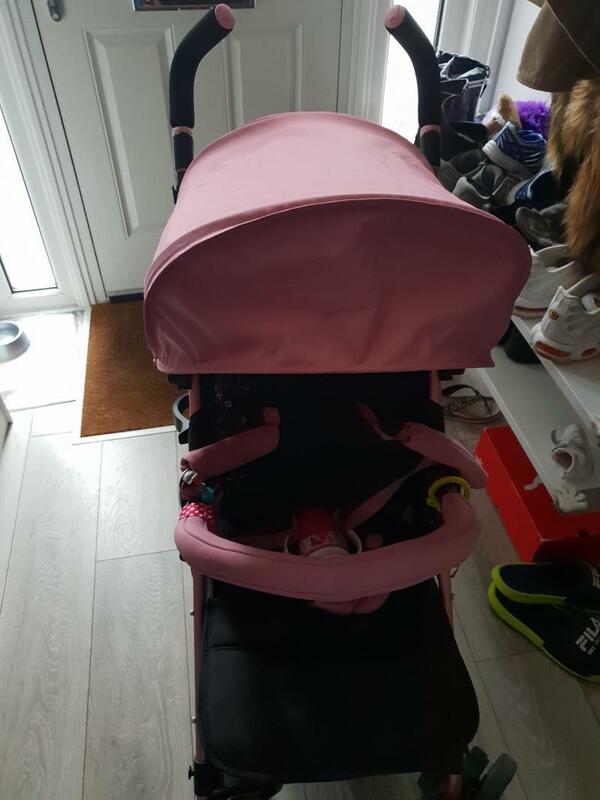 I love this product it only looks great especially in the pink which is what i have but it is comfortable for my baby , easy to push and steer. It has the extra sun shade that comes down to protect baby from the sun not just the face. The basket could be a bit bigger though. The pushchair is easy to fold, steer and store. It's lightweight so not too heavy to lift up steps. This pushchair is well worth the price. It's a lovely looking pushchair available in a variety of colours and although it's cheap, it doesn't look cheap. It is easy to out up and fold away, easy to store too. It's easy to steer because it is lightweight and it's easy enough to lift up any steps. The expanding sun hood is Good for shade but also good for privacy if your child falls asleep. The amazing extra large hood. I haven't found one as yet. We purchased the pop stroller for our son as an alternative to his travel system. We liked the fact it had a longer weight limit than most of the other lightweight strollers which meant my son (who was 10 2oz) born and bigger than his average age group could use it for longer. We also love the extra long hood which can be unzipped for extra protection. I'm pregnant again, and would certainly use my pop again, or purchase another if needed. Also, Silver Cross have been amazing when it broke, they collected the next day and it was back within two days. 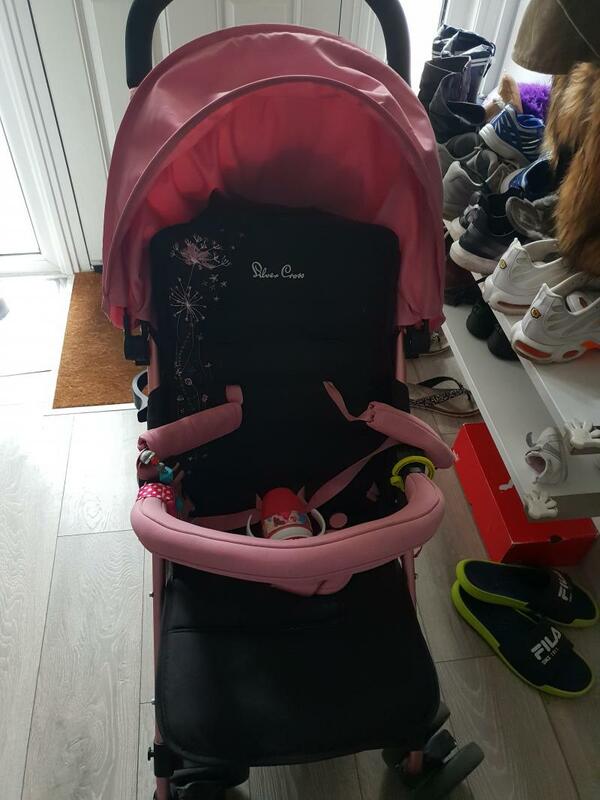 I love this stroller, it’s so easy to push, very easy to fold down, the hood of it is also very handy as it can unzip and go lower. All in all it’s just an amazing little stroller. Don’t quite know how I will part with it when my little one is walking. Absolutely love the silvercross pop. 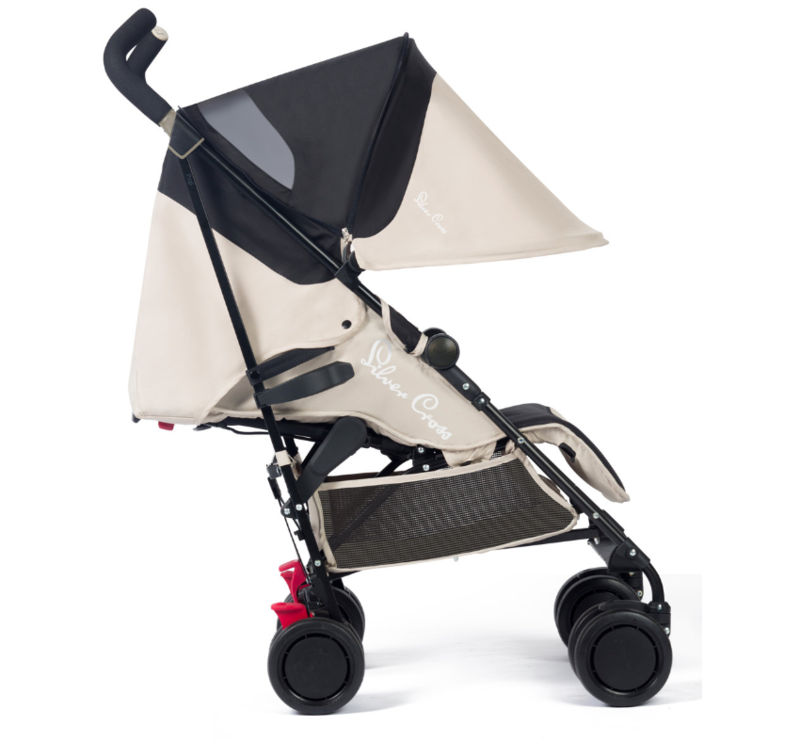 Light weight, easy to push, maximum weight of 25kg and the hood folds right down for protection from the sun. I love my Silver Cross Pop. We bought this as a second pushchair as my first was the travel system and I wanted something small and light to take on holidays. It is so easy to put up and down and I love the fact that it lays completely flat and that the hood extends to cover the whole chair so the sun doesn't get in their eyes even when it is laid flat. And the fact the hood is UV protected is great. My little one is always happy in it and falls asleep easily and the mechanism to lay it flat is smooth so my little one doesn't get woken up. I love this stroller, It folds easily and is easy to push and light to lift. It is also has a great size hood that pulls down pretty far for sun protection and the seat is a good size even for a 3 year old. 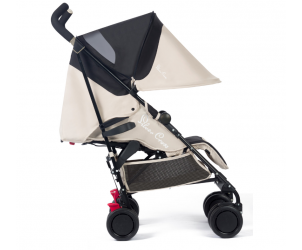 The Silver Cross Pop is a pushchair full of useful features. It is lightweight, compact and practical. 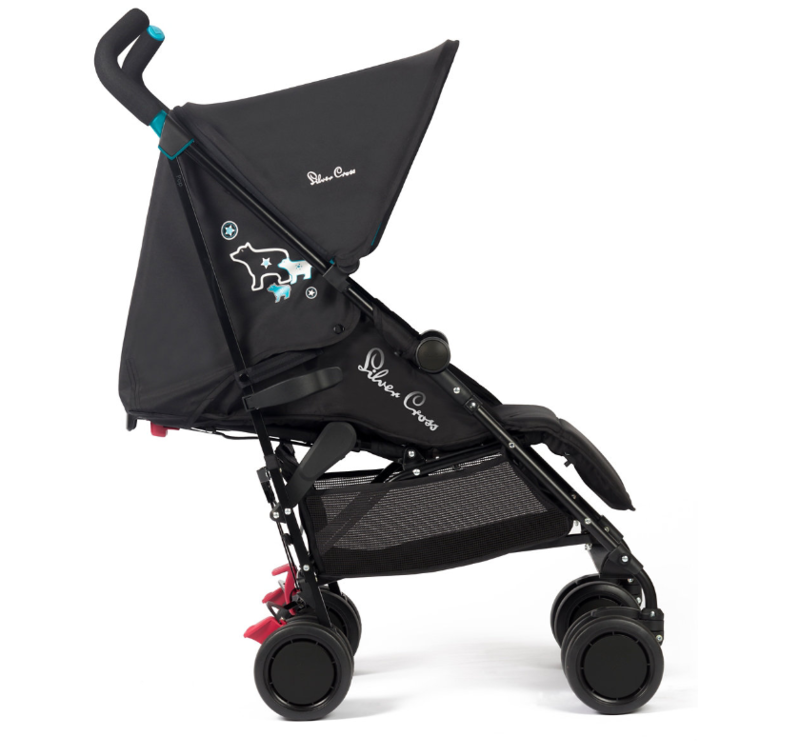 A stroller that is a pleasure to use with great features like one hand recline and fold. It is suitable from birth and features a roomy seat with a high back for growing children and lie-flat recline.